More often than I’d like to admit I make things way too complicated. Instead of setting a goal then going on to meet said goal I add a whole slew of different buttons (obstacles) and jack up my process. The KISS (keep it simple silly(keeping it PG)) method has always appealed to me but I have rarely applied it. I want to apply it! There is so much to life that would more enjoyable for everyone if I just kept it simple! See what I did there? So, moving forward I plan to keep it simple. I will press play, stop or reset. None of this other nonsense interfering like mute, input, or last. Fears will not bog me down! Currently blogging is my complicated remote. I find so many different excuses and fears to complicate the process. I need to channel my inner Apple and just keep it simple. 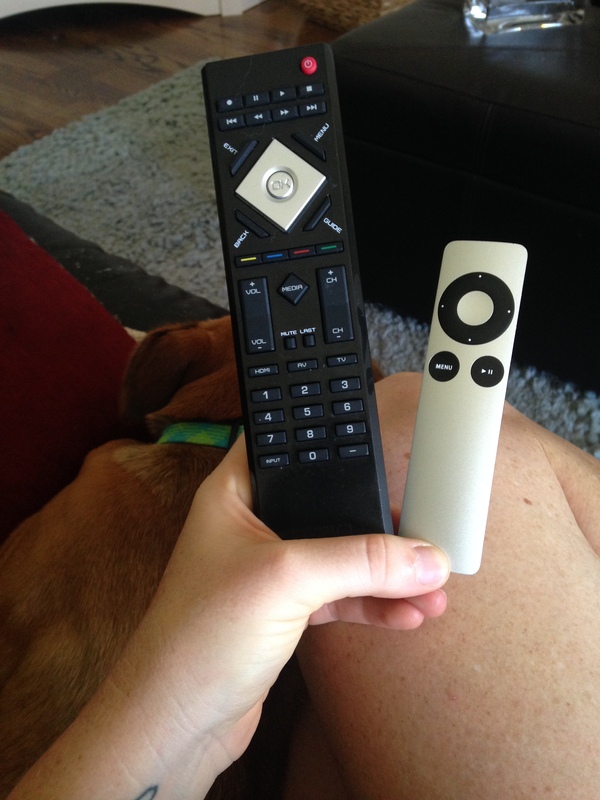 What is the complicated remote in your life? I am a renegade not willing to settle for mediocre...no exceptions! That doesn't mean I don't have challenges or hurdles to overcome(believe me I do). It just means I'm a fighter. I'm not going to settle for second best. I was given one life and I am living it out loud. I want to change the world and leave a legacy. I believe we all change the world in our own way if we aren't afraid to make a little noise. I also know that we need each other. We are on this adventure together, so let's get this party started folks!